The Linux operating system powers computers aboard the International Space Station. 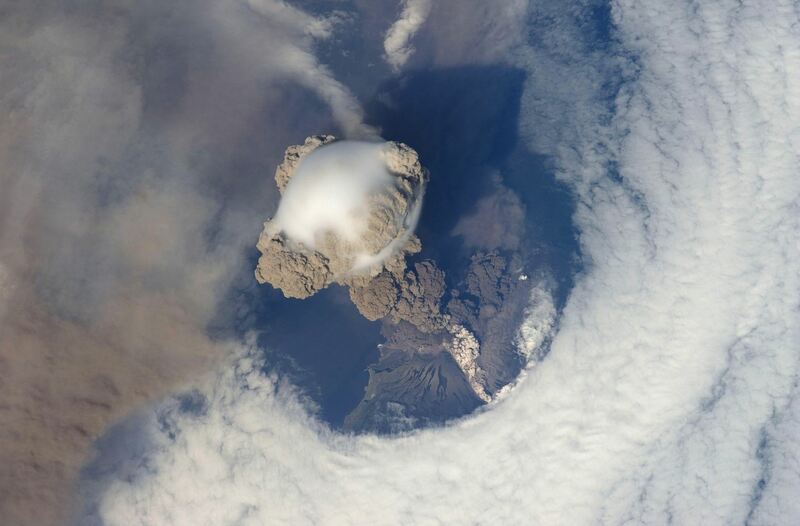 The crew aboard the International Space Station (ISS) acquired this image of the Sarychev Volcano as it erupted on June 12, 2009. The Sarychev Peak is located in the northern part of the Kuril Islands, an archipelago in the northwest Pacific in Russian territory. A newly released video based on several stunning snapshots taken by astronauts reveals the beauty and power of the erupting volcano. Sarychev peak which rises to a height of 4,908 feet (about 1,500 meters), is the tallest peak on Matua Island in the northern part of the Kuril Islands, a Russian archipelago in the northwest Pacific Ocean. One short article cannot hope to encapsulate the minutea for implementing open source in school districts and schools, however this primer sets the basis for the opportunities and strategies to achieve success. When I speak about using open source I am not limiting it to replacing commercial office productivity suites with LibreOffice, as one example. This article speaks to the pervasive utilization of operating systems, productivity software, management software to all areas of the curriculum and business of a school district. It considers the relative ease for implementing open source in elementary schools as well as highly complex secondary schools under a diversity of programs and curricular requirements. I recently wrote about the implementation of open source systems at the Saanich School District in southern Vancouver Island, BC here: Prepare students for a rapidly changing world by teaching with open source. As a result I have received communication about the practicality for implementing this kind of technology and what was involved. At our school district, I would consider our implementation of open source to be a success. Is it a panacea? Would it satisfy everyones needs and perceived needs? Perhaps not but when offset against declining enrollment, budget constraints, staffing constraints, limited resources, energy conservation, and other factors, I believe it offers the greatest potential benefits while satisfying curricular and business needs. When we talk about sweeping change with this system, it considers the following. Replacing not only server operating systems with Linux but desktop operating systems through the use of distributions like RedHat, Ubuntu, and so forth. It also involves replacing the traditional fat clients, such as a Microsoft Windows computers or Macintosh computers, with Linux diskless clients that are energy efficient, cost effective, and sustainable. If you’re up for a visit to the beautiful Italian region of Umbria, better make sure your laptop is running some open source software — chances are you’ll feel more at home there. This small area in the middle of the Boot, known for its centuries-old monasteries and for being the birthplace of St Francis of Assisi, is in fact quickly becoming a mecca of free software. Thanks to a project called LibreUmbria, the biggest local government bodies are migrating to LibreOffice in what’s thought to be the most carefully-designed transition away from proprietary software ever undertaken. Though not as big as other international migration initiatives, the Umbrian project has been praised for its attention it pays to every aspect of the transition, not just the technical ones. St Francis was all for giving things away and held frugality in high regard — as do his fellow countrymen of LibreUmbria, whose primary goal is to bring savings to the government bodies involved.